Hopton Playing Field in the village of Hopton-on-Sea near Great Yarmouth has three separate play areas including a skate park with basketball, outdoor gym and climbing wall, football pitch and pavilion, used for outdoor/community events. Take the A12 out of Great Yarmouth towards Lowestoft following signs for Hopton-on-Sea. At the Hopton roundabout take a left turn onto the slip road, followed by a left turn onto Lowestoft Road. 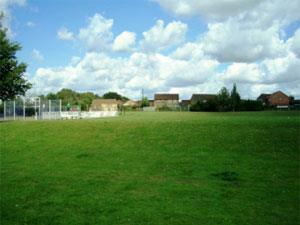 Proceed along until you reach the recreation ground on the right hand side.